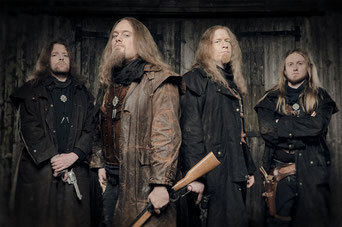 We also can offer you a highlight from the melodic metal genre: in 2008 a band has been founded in Arnsberg (Germany) which built a reputation as one of the greatest bands of melodic metal - the band we talk about is ORDEN OGAN! With five fantastic studio albums "Seeb" and his musicians became iconic and play the legendary stages of this planet. Their album "Gunmen" (2017) reached the top 8 of the German album charts for sure! This year they are going to bring their virtuosic live set to the legendary Loreley - to RockFels 2018!